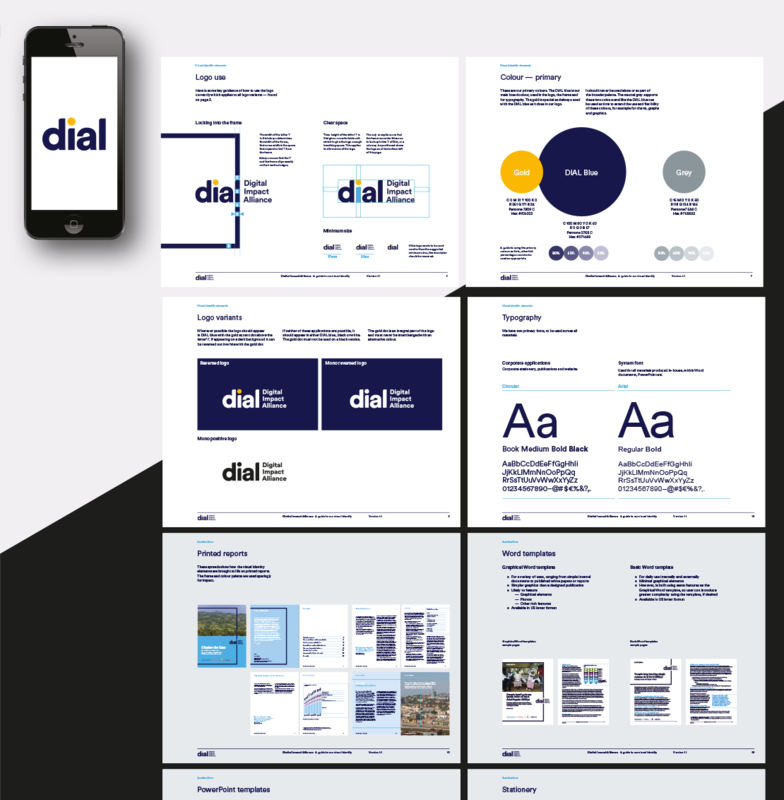 We rebranded DIAL (The Digital Impact Alliance) and created a robust set of guidelines to inform the look and feel of all their collateral which gave this rapidly growing organisation the breadth and diversity they needed within the crowded space of donor organisations. The guidelines we produced cover all the elements of the re-designed brand, designed to be used by design professionals. 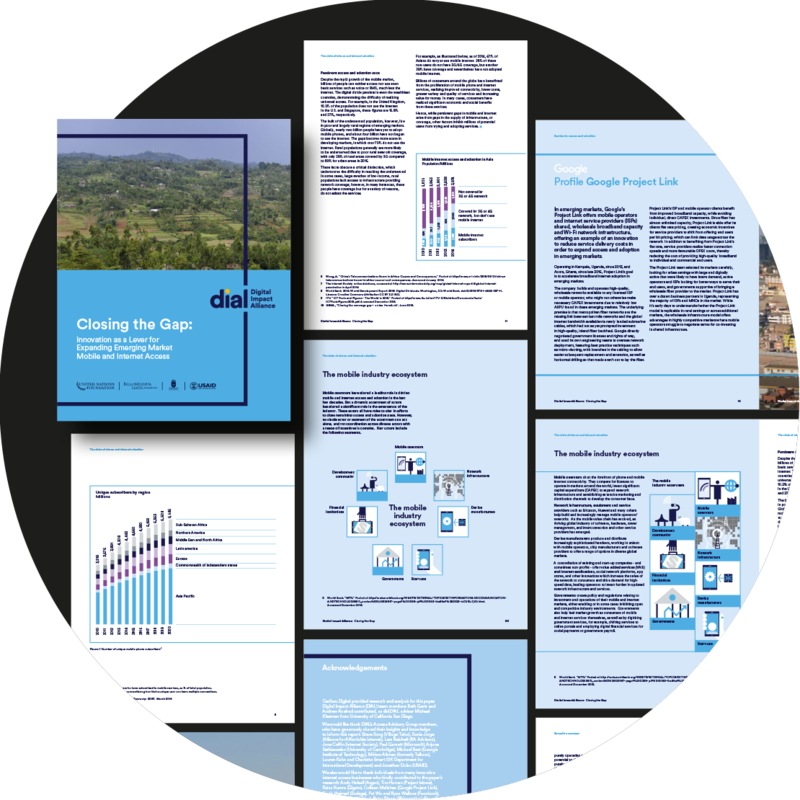 We produced templates for professional and internal use (Word) use across a range of reports. DIAL required robust fully programmed templates for any member of their team to use which correctly reflected all the new brand elements. 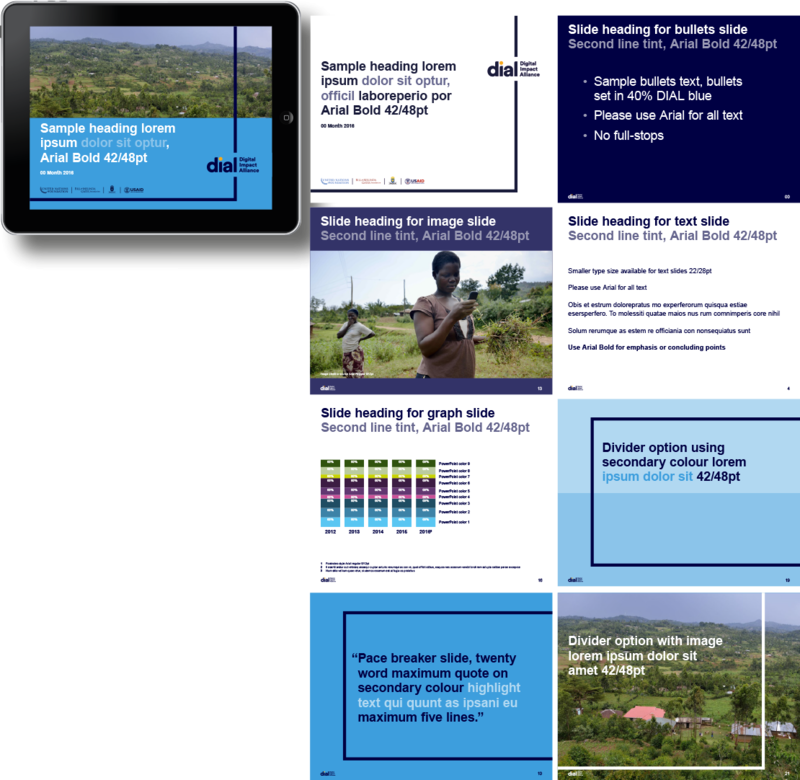 We produced a number of highly sophisticated templates.